Product #26057 | SKU 25200-300-55 | 0.0 (no ratings yet) Thanks for your rating! The K&M 252 (Black) is a rugged tripod stand and boom combination, suitable for general recording and sound reinforcement microphone placement. 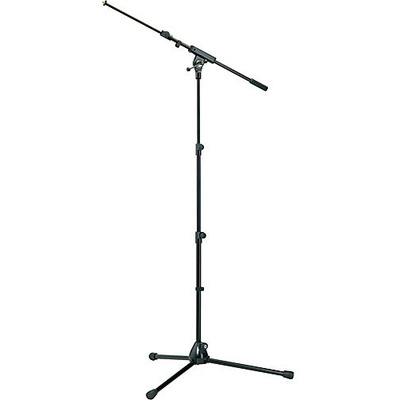 The all-metal stand features a three-section, telescoping height of 24.40 to 57.87" (620 to 1470mm). The included boom features a variable length between 19.29 to 31.30" (490 to 795mm).